My red velvet cupcakes always turn out a bit on the pink side. Anyone else have that problem? 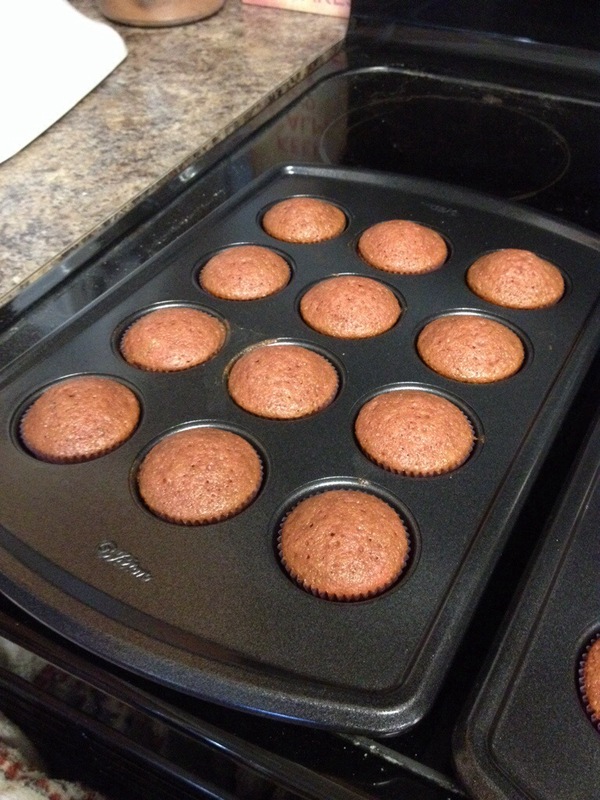 But the color is the only thing that’s not absolutely perfect about these cupcakes. They’re from Martha Stewart’s Cupcakes, my favorite cookbook! These have turned into my go-to cupcake when a flavor is not specified for a request. They’re always such a hit! 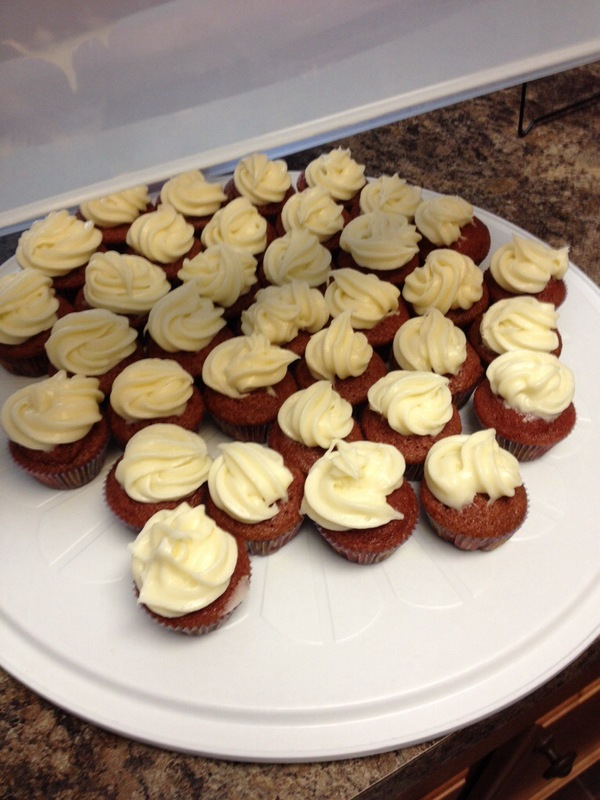 Back in February, I made about 6 dozen mini red velvet cupcakes for a Mother-Daughter tea at my synagogue. There were only half a dozen left at the end. Today I only made 3 dozen, but they were for another event at the synagogue. In fact, they were requested! Again, not specifically red velvet, but like I said, it’s a crowd-pleaser and I know they’re delicious, so I went with it. These are also the first baked goods labeled as “Dessertaholics Bakery.” Yes, I’m starting a business! These cupcakes were done “pro bono” (as my husband says), in addition to the cookies that will be the subject of my next post. Fingers crossed for a paying gig soon!